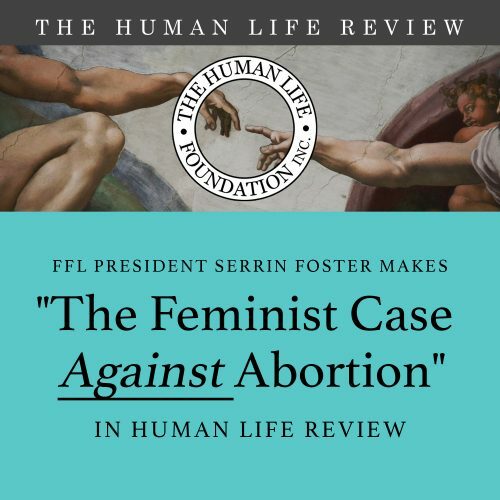 In case you missed hearing Feminists for Life of America President Serrin Foster make “The Feminist Case Against Abortion” at Georgetown University this weekend during the Cardinal O’Connor Conference, here is a recent version of her speech which was published by The Human Life Review. An earlier version was recognized in a series called “Great Speeches in History” in an anthology called Women’s Rights. To book Ms. Foster or another FFL speaker, please contact info@feministsforlife.org. March forth!